I know it’s been weeks since I’ve had a wed-nails-day post, I’m sorry! I’ve been super busy and actually had naked nails for weeks, I know shock horror. I’ve got a new one for your today though. 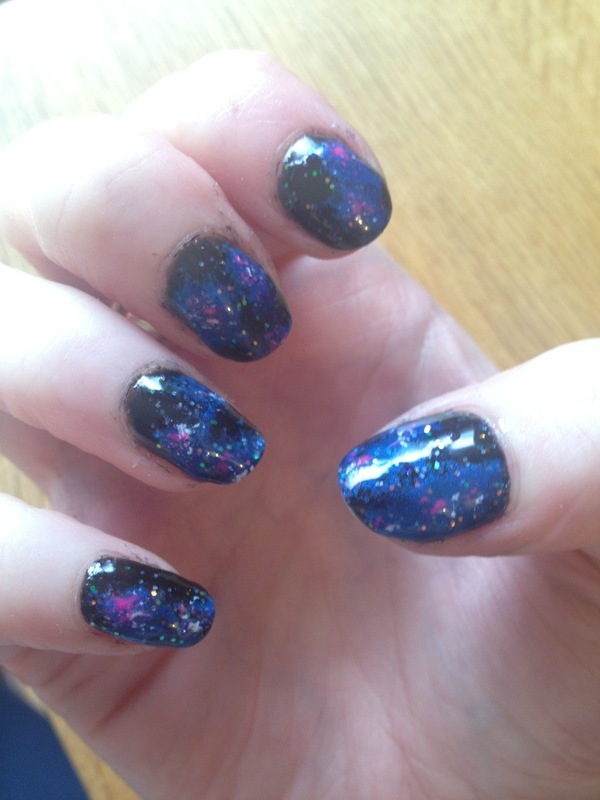 So how do you like my galaxy nails? This was my first go at them. I think if I did them again I add a bit more pink and white. It’s pretty time consuming but simple enough. I painted my nails black to start with. 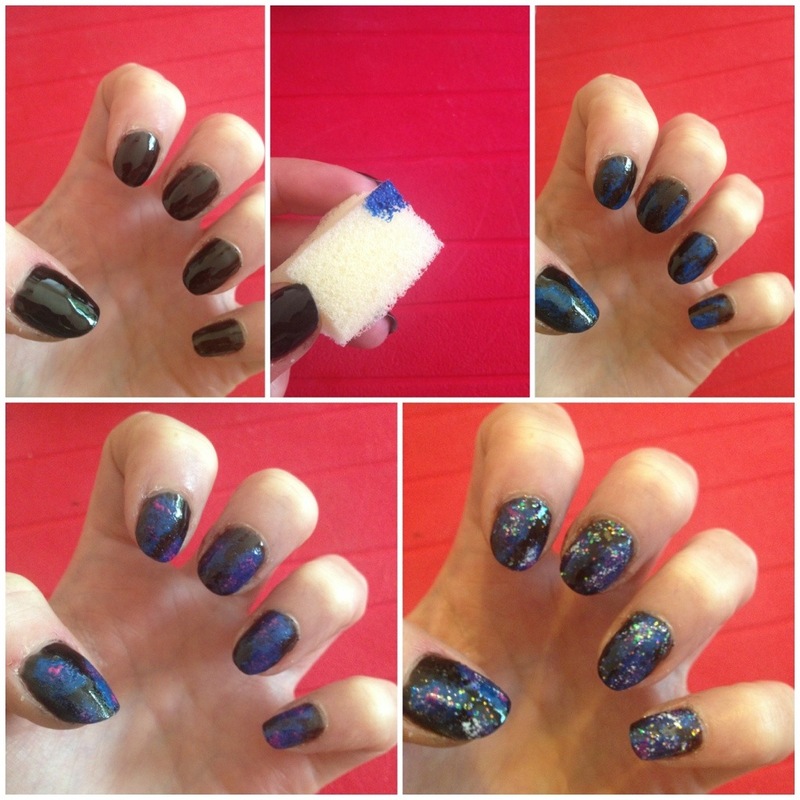 I then used a little sponge to add the blue. I added some pink and white in the same way but only a few little spots. I finished them off my adding a coat of glitter. See, I told you simple. They look amazing! I really need to try this out. You should it’s really easy promise!